One or more of this fall's iPhones will make use of dual-SIM, dual-standby (DSDS) technology, in some cases using an embedded Apple SIM, a Chinese report claimed this week. Enabled iPhones will typically have an embedded Apple SIM paired with a conventional tray, the 21st Century Business Herald said. Chinese models will allegedly use two trays, since Apple SIMs aren't available there. The reliability of the report is questionable, as the Herald doesn't have a track record with Apple products, and dual-SIM iPhones have been rumored as far back as the iPhone 7. 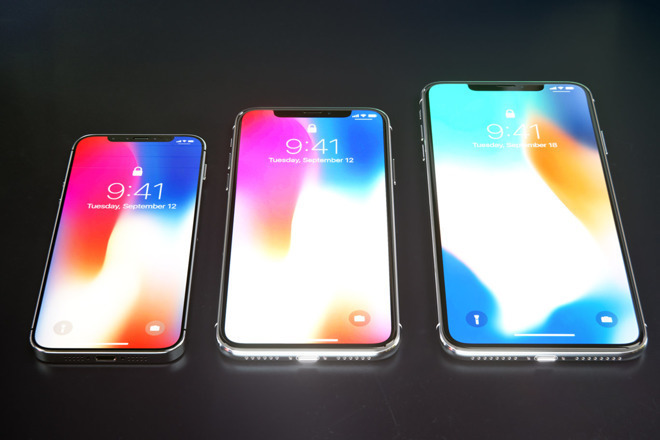 The publication also didn't indicate which specific phones will use the technology, an issue since Apple is expected to premiere three new models this year: 5.8- and 6.5-inch OLED products, and a less expensive 6.1-inch LCD device. At the same time, analyst Ming-Chi Kuo — known for his supply chain connections — has hinted at the possibility of dual-SIM iPhones, pointing to the 6.1- and 6.5-inch models. DSDS technology provides a number of benefits, the most obvious being the ability to travel across borders or coverage zones without swapping SIM cards. This is a key consideration for people in China, who often jump cellular providers between provinces. Dual-SIM configurations are also attractive to businesses that manage their own mobile device deployments. Apple SIMs were first introduced in 2014 as a way of letting 4G iPad owners switch carriers without constantly buying and swapping SIM cards. iPad Pros now feature embedded Apple SIMs, though other models must still use separate cards Apple sells.